Annie Adams thinks she has it all. Her longtime boyfriend, Nick, is on the verge of becoming a successful film director, her travel column is nationally syndicated, and they've got a great dog. Her life finally feels like it is falling into place. Until, out of nowhere, Nick announces that he's reconnected with a woman from his past and he's moving out.Reeling from Nick's exit, Annie stumbles into her neighborhood bar and finds Griffin, a down to earth chef who seems to be everything she didn't know she wanted. Three months later, they're married. And Annie finds herself in a small Massachusetts town -- completely unmoored and wondering if she's picked a life on the rebound. When Nick returns, wanting a second chance, Annie's stuck: truly torn between her husband and the man she may have been meant to marry. I adored this book. I sympathized with the main character, Annie, and what she goes through. This is a romantic comedy that reminded me of some of the movies I've watched and loved. Girl loves guy, guy leaves her and then as soon as she has finally moved on with someone else, guy comes back wanting her back. This book didn't take me long to finish, I read it over the weekend and couldn't put it down. Every time I told myself I was going to stop at a certain chapter I found myself reading another chapter. This is a great read for every woman out there. I laughed, I cried and I got mad in this book, so many emotions, but I found that this was definitely a great read and will definitely be put on my list of favs. I heard in a couple of articles that this was going to be turned into a movie, I really hope so, I'd love to see this on the big screen, it was that good! Disclosure: All opinions are my own. 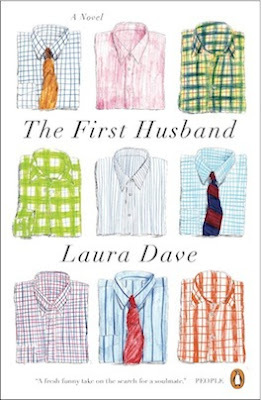 I received The First Husband at no cost for the purpose of this review. No other compensation was received.